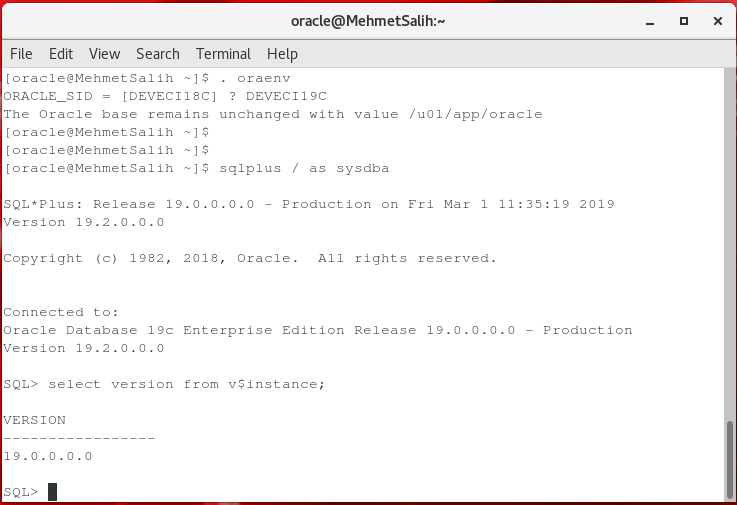 I will tell Oracle database 19c installation again in this post. 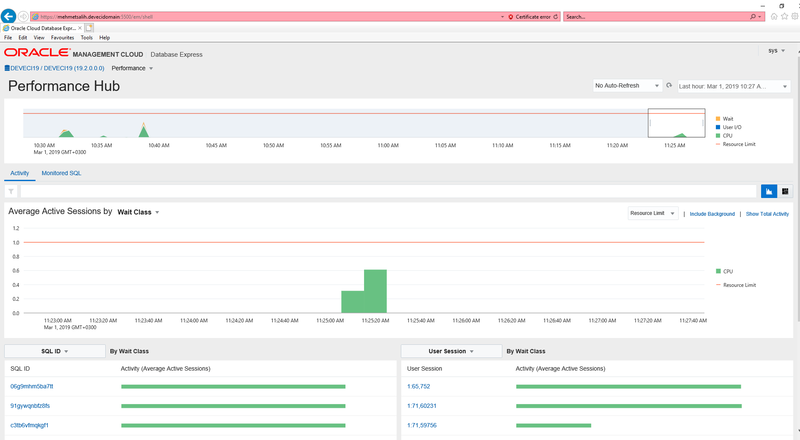 You can connect to Oracle Cloud database express ( Enterprise Manager ) with above link. 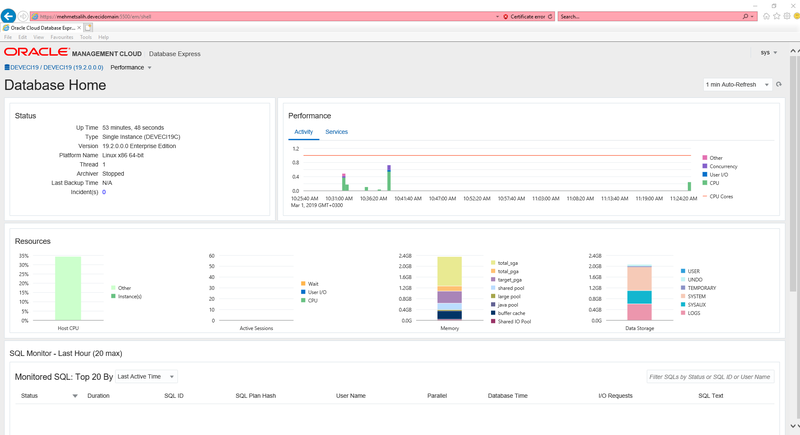 You can monitor Oracle database 19c via Enterprise manager. 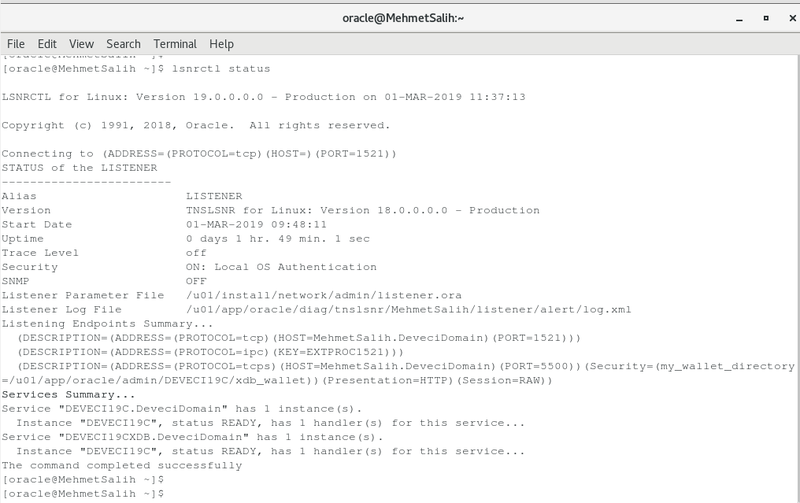 If you click Performance tab, you can see performance home of Oracle database 19c. 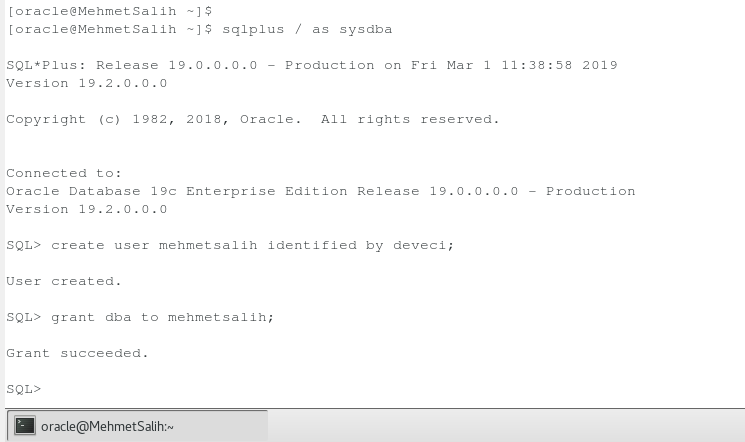 You can set Oracle database 19c envanter like following and connect to sqlplus tool. 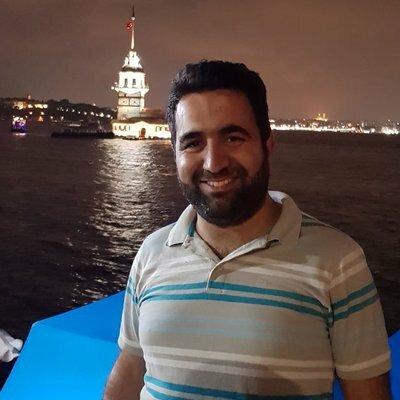 You can check database version with following query. You can monitor listener status like following. 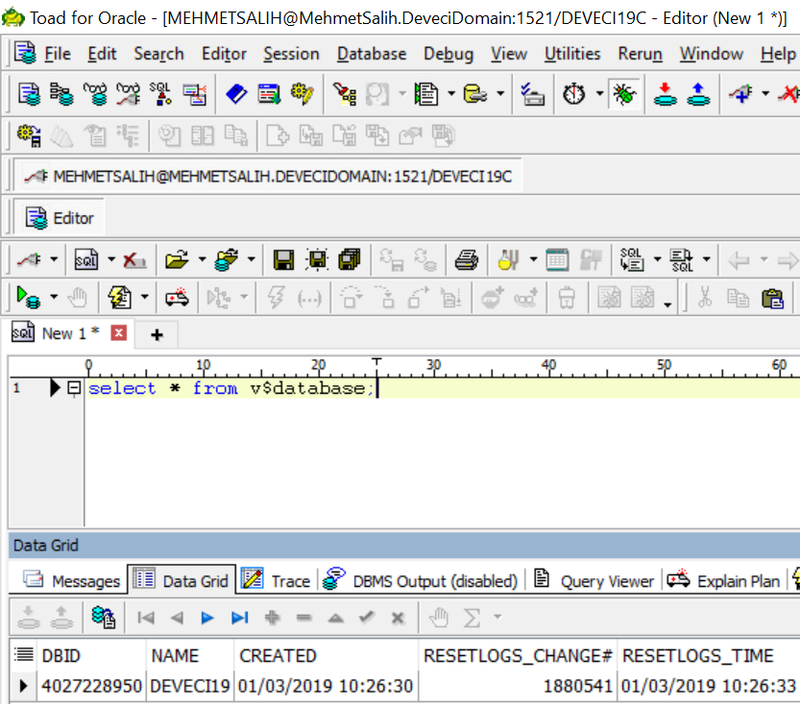 You can create user on Oracle database 19c with following to connect database via TOAD or PLSQL developer tool. 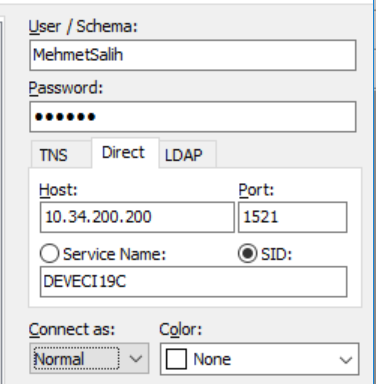 You can connect to Oracle database 19c via toad like following.